Landlords in every state may collect a security deposit from new tenants, but all states require that every security deposit is refundable at the end of the tenancy, if the property is in the condition it was at move-in, minus “normal wear and tear”. 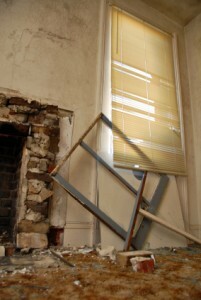 Put another way, you may only apply the security deposit for “damage” to the unit or its fixtures. As you may have experienced, defining “normal wear and tear” versus “damage” is often a source of disagreement between landlords and tenants. In this article, I explain “normal wear and tear” and “damages,” provide concrete examples of each, and discuss good practices for minimizing conflict on this issue. Three of the four definitions listed above contain the word “normal,”and we all know that “normal” can be subjective. misuse or neglect that results reduces value, usefulness, etc. The definition of “damage” also includes some pretty subjective terms. Although “normal wear and tear” and “damage” are difficult to define, you can nonetheless protect both yourself and your tenants from misunderstandings or confusion. As with most things, communication is the key: if both you and your tenants are clear about the condition of the unit at move-in, the importance of promptly reporting needed repairs, and expectations at move-out, the tenancy and the end of the tenancy will be smoother. Insist on a walk-through with new tenants. At the walk-through new tenants will have an opportunity to note in writing existing damage and wear and tear in the rental. Encourage tenants to examine the rental from floor to ceiling, open and close doors, test all appliances and locks, looks for leaks in the kitchen and bathrooms, and look for signs of pest infestations. In addition, consider taking dated photographs of the unit for your tenant file. Both landlords and tenants are protected by the walk-through””Tenants can’t be blamed for damage that was noted in the file at the beginning of the tenancy, and landlords have a baseline to refer to upon move-out. Many walk-through forms and checklists are available online. Require in the lease that tenants promptly notify you of needed repairs. Encourage your tenants to help you maintain the rental unit””it’s in everyone’s best interests. Make it clear to tenants that if they don’t notify you of a leaky pipe or broken dehumidifier, they could be responsible for any damages (such as mold and rotting wood). Make it easy for tenants to notify you by making your contact information available in different formats, such as on business cards, your website, or even refrigerator magnets. At move-in provide tenants with a “Wear and Tear versus Damages” document and a cleaning checklist. Several websites (including nolo.com and some state websites and landlord or tenant organizations) provide charts that list different examples of “normal wear and tear” and “damages.” Give new tenants similar charts and have them initial them at the time they sign the lease agreement. In addition, give new tenants a cleaning checklist, so they know what will be expected of them at move-out. Before move-out refer tenants to the “Wear and Tear versus Damages” document and cleaning checklist. Being reminded of the difference between “normal wear and tear” and “damage” can be helpful to tenants when they are cleaning their rentals in preparation for moving out. For example, if a ceiling fan bulb is missing, they can replace it; and they will know to remove any trash piles or waste from the yard. Also give your tenants the cleaning checklist at move-out to clarify what you expect them to clean. As with many landlord and tenant matters, clear communication can minimize misunderstandings and conflict. Always conduct a walk-through at move-in to give you and your tenants an opportunity to note specific damage and wear and tear in the rental property. Both you and your tenants should sign the document. Encourage your tenants to report any needed repairs, and respond promptly to their requests. Finally, provide tenants at move-in and move-out with a list of examples of “normal wear and tear” and “damage,” along with a cleaning checklist. What are your personal experiences with “normal wear and tear” and “damage”? This writer clearly remembers as a student having to pay for repair of a door that was damaged by an earlier tenant. There had been no walk-through inspection.